This development offers the following schemes: Home Change - We'll help sell your house in 3 easy steps Schemes are available on selected plots only, subject to status, terms and conditions apply. Contact the development for latest information.Special Offer Price Fantastic money-saving offer available Save money with our special offer price discount when you reserve now. For a limited time only, this home could be yours with a 1000] discount. WAS: 264995 NOW: 263995 Make your move soon for maximum savings Style Description The Leith Key features: Self cleaning solar roof panels Single integral garage with tiled roof Separate hallway entrance Front aspect lounge with bright triple window Open plan kitchen/dining room French doors leading out from the kitchen/dining room to the rear garden Central cupboard storage from kitchen/dining room Separate rear door exit from utility room Cloakroom includes obscure opening window En suite shower room to master bedroom Ground Floor The Leith opens into a welcoming hall, which leads to the large lounge and in turn to the wonderful kitchen and dining area with patio doors opening out onto the rear garden. There is a convenient downstairs WC and a large integral garage. First Floor On the first floor you'll find 4 bedrooms, the master with en suite facilities and also the family bathroom. This home has been designed to suit growing families and those in need of additional space. Floorplans may vary from plot to plot so please check with your sales adviser for exact details. Disclaimer: There are variations of each house type. Please ask a sales advisor for more information on the type of Leith used at this development. Price is available subject to status, terms and conditions apply.RoomsGround floorKitchen/Dining Room (5.05 x 3.07 m)Lounge (5.05 x 3.23 m)First floorBedroom 1 (4.34 x 3.84 m)Bedroom 2 (3.38 x 2.59 m)Bedroom 3 (3.23 x 2.46 m)Bedroom 4 (3.02 x 2.62 m)SpecificationSpecification We are a national house builder with a local approach to building your new home. We will provide you with the specification appropriate to the locality of your selected new home and development and we will explain the choice of external materials used, for example your brick colour and roof tiles. You will be able to select certain elements of the fixtures and fittings encompassing the latest designs from leading manufacturers, subject to the stage of build of your chosen home. If you wish to further personalise your new home, an exciting range of options is available to purchase from our Finishing Touches scheme. Our experienced sales team is on hand to guide you through the choices available to you depending again on the stage of build. Quality Assured Your new home will be built in accordance with all relevant technical and building regulations, in particular the Government's Code for Sustainable Homes. In addition all stages of the construction of your new home will be inspected by our experienced construction staff. On completion of your new home we will provide you with a quality assured certificate for you to keep. 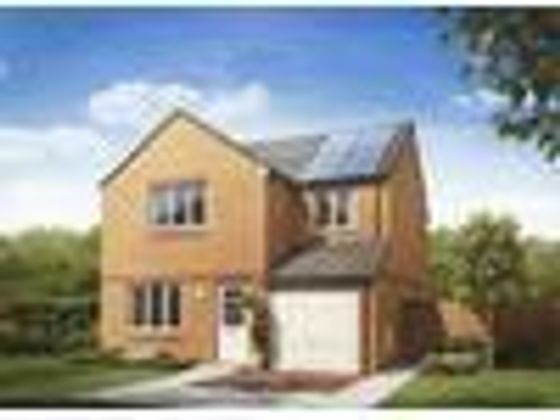 10-year NHBC (or equivalent) Warranty A 10-year warranty is provided with every new Persimmon Homes home. A comprehensive guide explaining the warranty will be supplied to you. We will ensure warranties provided by the manufacturers of appliances are honoured for the first year of occupation. Our Customer Care Department is on hand to offer you the necessary guidance and assistance.About Duchess GaitStunning new homes in the picturesque town of Helensburgh The fantastic new Duchess Gait development is situated in the popular town of Helensburgh. We'll be offering home buyers a selection of three, four and five bedroom homes, suitable for first time buyers and families alike. Excellent commuter links to Glasgow via road and rail A range of local amenities in Helensburgh town centre A new children's play area to be built on site Near to attractive parks and gardens Surrounded by stunning Scottish landscapes Duchess Gait is situated in an enviable and attractive edge-of-town location, set against the natural backdrop of Duchess Wood. As well as its tranquil setting, the site is also well-placed to take advantage of the plentiful local amenities in Helensburgh and Rhu. The desirable Victorian seaside town of Helensburgh boasts an idyllic setting on the banks of the River Clyde and is a popular holiday destination. Living at Duchess Gait means you'll be close to beautiful scenery, esplanade walks, a range of shops, cafes, pubs, a sailing club, marina and an indoor swimming pool. During the summer sailings, the Waverley paddle steamer calls into Helensburgh pier before making its way onwards to Glasgow. Register your interest to find out more about this exciting new development. Duchess Gait - new homes in the picturesque town of HelensburghLeisureThe town offers a range of shopping to suit most tastes and needs, and is home to some stunning and historically-interesting architecture. The highlight is Hill House, which was completed in late 1903 for the Glasgow publisher Walter Blackie and designed by the famous architect Charles Rennie Mackintosh. Today it's in the care of the National Trust for Scotland and is open for all to enjoy. There are many stunning locations in and around Helensburgh including Geilston Gardens with its guided tours and long walks around the charming gardens, to fun-filled days out at the adventure playgrounds and meadow mazes. Living at Duchess Gait means you'll also have easy access to a wealth of leisure activities and sports clubs including rugby, football, netball, cricket, athletics, curling, hockey, bowling, golf, sailing and fishing. Loch Lomond and the Trossachs are also easily accessible with their breath-taking views and fun family days out.EducationDuchess Gait offers a range of great local schools including Rhu Primary School which is 1 mile from the development and Kangarhu Pre-school. However, in the centre of Helensburgh, there's also Lomond Secondary School, Lomond Nursery & Junior School, Hermitage Primary School and Hermitage Academy. The local schools also offer a wide range of after school activities including, football, hockey, netball, swimming, music lessons and a chess club.ShoppingThere are a wide range of local shops and restaurants in the area including Clarks, Costa Coffee, Tesco, Boots and Clyde bar.TransportHelensburgh is known as a commuter town for nearby Glasgow. It's served by three train stations: Helensburgh Upper, Craigendoran, and Helensburgh Central. Each station has frequent trains that run into the centre of Glasgow stopping at local towns, such as Colgrain, Dumbarton and Milton. You can also get a bus from Helensburgh into Glasgow city centre. As well as local transport there's easy access to major road links, including the A818 and the A82 connecting you to local towns and villages. Helensburgh town centre: 1.3 miles Helensburgh central train station: 1.5 miles Geilston Gardens: 5.6 miles Glasgow city centre: 26.2 milesOpening HoursMonday 12pm - 5pm, Tuesday Closed, Wednesday Closed, Thursday 11am - 5pm, Friday 11am - 5pm, Saturday 11am - 5pm, Sunday 11am - 5pmDirectionsFrom Glasgow, take the M8 westwards, continuing onto the M898 over the Erskine Bridge. Head westwards on the A82 and continue onto A818 towards Helensburgh. Taking the A818 through Helensburgh, turn right onto West Montrose Street. Follow onto Rhu Road Higher and turn right onto Glenoran Road. The site will be on the right.DisclaimerImages depict typical Persimmon Homes house type. All room dimensions are subject to /- 50mm tolerance. This information is for guidance only and does not form any part of any contract or constitute a warranty. All information correct at time of publication and is subject to change. Please check specification by contacting the development directly. Property advert Ref 4279952 - Is a property advert for marketing purposes only, the information has been supplied by the owner, estate agent or property portal and The House Shop makes no warranty as to the accuracy or completeness of the information. Furthermore we have no control over the adverts content. This property advertisement does not constitute property particulars. Please contact the advertiser to obtain any information regarding The Energy Performance Certificate regarding homes in England and Wales or Home Report for residential property in Scotland.